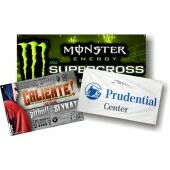 Vinyl banners are very effective for any advertising campaign. Whether you are looking for custom vinyl banners for a business trade show display or exhibition, we offer you the best choices. 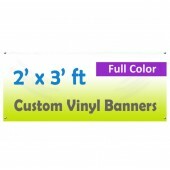 Our custom vinyl banners aren’t just attractive, they’re effective too. You can choose large or small size vinyl banners and customize them according to your need.